The defending champion Pirates will start the game as the fan favorite, and most of the audience will want them to lift the current trophy as well. They have impressed everyone with the fantastic performances in every single game of this season. Also, they have garnered 52 points out of 14 matches and won 10 games. Patna has relatively reached the semifinals with ease as compared to Pune team which had to struggle to make its place to the final four. They had to fight all the season long till the last match of the league stage to reach this place. Paltan got better off U Mumba by their score difference. U Mumba were the runner-ups of the last season. In this season, Patna and Pune are going to face each other for the third time. In the previous two meetings, Pirates have come up as the winner defeating Pune. Let’s see what happens today. Patna Pirates: Dharmraj Cheralathan, Bajirao Hodage, Deepak Dhull, Vijin Thangadurai, Fazel Atrachali, Abolfazel Maghsodlo, Sunny, Sunil Kumar, Anil Kumar. Sanjay Kumar, Hadi Oshtorak, Kuldeep Singh. Mahesh Goud, Pardeep Narwal, Rajesh Mondal, Vinoth Paulyas, Surjeet Singh. Puneri Paltan: Defenders: Ketut Ariana, Gurpreet Singh, Somvir Shekhar, Ravinder Pahal, Joginder Narwal, Khomsan Thongkham, Virender Chhillar;All-rounder: Parmod Narwal, Preetam Chhillar, Manjeet Chhillar, Dalbir, Deepak Niwas Hooda;Raider: Ajay Thakur, Sonu Narwal, Jay Bahadur Bohara, Anil Shriram Nimbolkar, Akshay Jadhav. 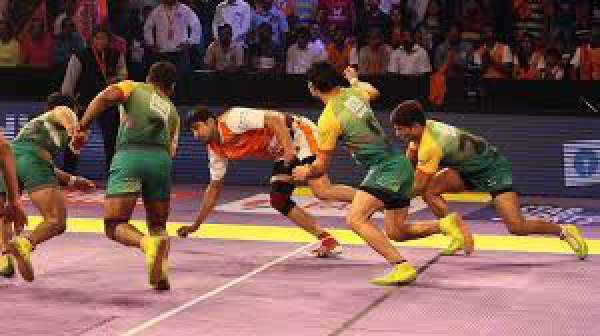 Patna vs Pune, the PKL semifinal is to start at 8 pm IST. Below is the complete TV and live stream information is given below. Come back for the match result and video highlights. Stay tuned to The Reporter Times for latest kabaddi news and all other sports updates across the globe. Don’t forget to share it on social media sites like Facebook, Twitter, Google Plus, etc. to let others also know.